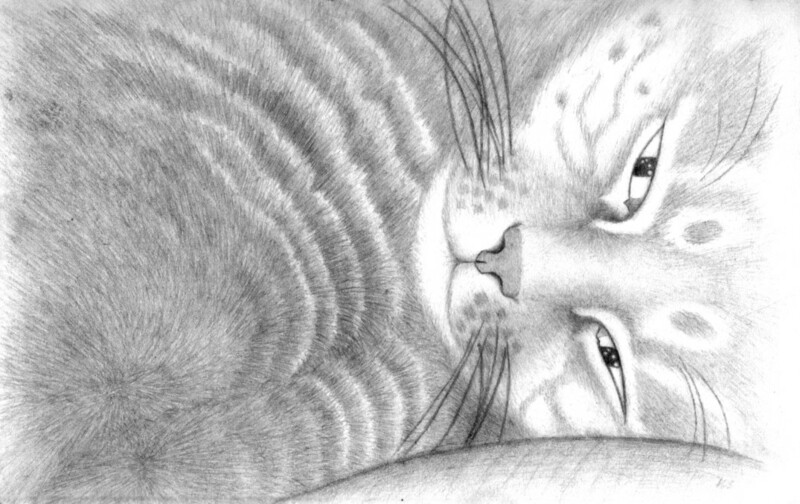 A realistic cat drawn with pencil. Veronica -- This is great! I love the whole design, how you don't show the whole cat and the way you patterned his stripes. I love this drawing. Artist has a true gift from our Lord and Savior, Jesus Christ. Very nice Veronica. Incredible detail.